This was the seventh year I went to California to cover the USTA National Girls' 18 Championships, but this year was different for a number of reasons. First, I was the official publicist for the tournament this year so my daily stories were on the tournament's official site. And this year was also the final one in Northern California. But the best reason this year is different is because of a girl named Christina McHale. The New Jersey teen completed a sweep that the Girls' 18 Nationals hasn't seen since I've been going there. 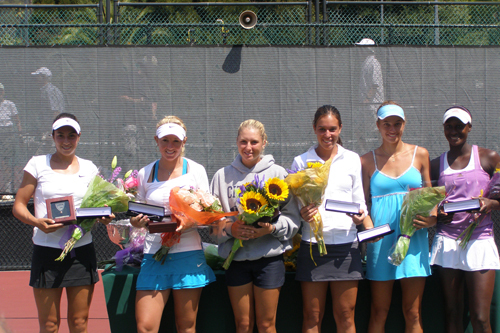 The Berkeley Tennis Center and Claremont Resort and Spa welcomed the Girls' 18 Nationals for the third and final year. 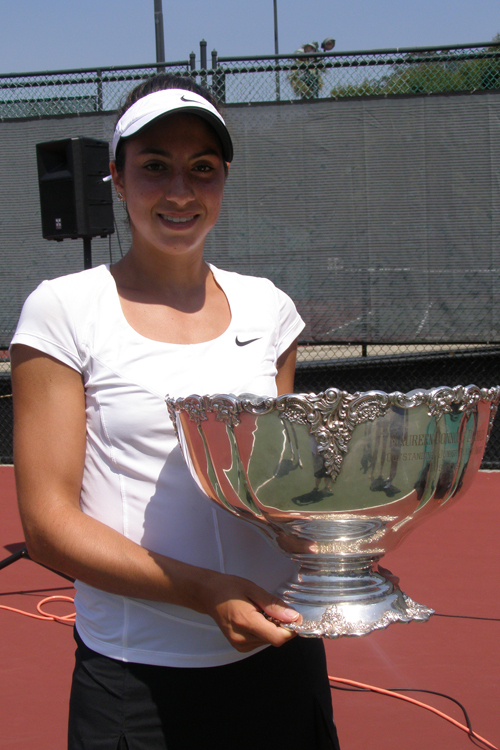 Gail Brodsky was back to defend her title with a second seeding, but it wasn't to be as 17 year old Christina McHale became the first player since Kristen Schlukebir in 2000 to win the singles and doubles events. Through eight days of perfect sunshine, Christina played near-perfect tennis, not even dropping a set until her semifinal with Gail, a fellow Easterner who hugged her at the net after the loss. There were actually two more Eastern girls in that mix whom I had watched since they began playing -- top-seeded Kristie Ahn and Ester Golfeld, the 15th seed. It was the former who upset the latter in the round of 16, falling to the eighth-seeded Beatrice Capra in the next round. There's one more girl who ended up in it until the end. It was the fourth-seeded Lauren Embree (of Florida, not NY or NJ) who faced Christina McHale in the final. Her road was filled with longer matches and it caught up with her in the end. 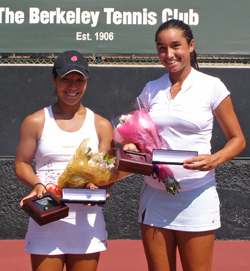 It was a straight sets final win for Christina, followed by a doubles championship with partner Asia Muhammad after they squeezed by Kristie Ahn and Courtney Dolehide. As for Gail Brodsky, she took home a Bronze Ball to go with last year's Gold. The thing that always struck me about the Girls' 18 Nationals, which Andrea Norman ran with Jennifer Pitzen for nearly two decades before Jennifer's retirement last year, was the charity of it all. Through the years they gave away many thousands of dollars to worthwhile, local charities with the help of generous sponsors and hard-working volunteers (over 300 this year alone). That continued with the move to Berkeley and the addition of Tournament Chairman Lynne Rolley. 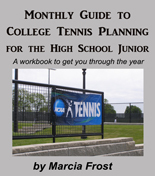 Next year the Girls' 18 Nationals joins the 16s and the Barnes Tennis Center in San Diego. I have been to that incredible facility (I used to divide my time between the 18s and 16s) and I'm sure it will be a wonderful event. I hope to see the tradition continue.